The cardholder received a credit or voided transaction receipt that was not processed (Europe and Interregional including Europe). OR The cardholder cancelled or returned merchandise, cancelled services, cancelled a timeshare transaction, or cancelled a Guaranteed Reservation and the merchant did not process a credit or voided transaction receipt. And, either the merchant did not properly disclose or did disclose, but did not apply, a limited return or cancellation policy at the time of the transaction, or in the Europe Region, the merchandise or services relate to an off-premises, distance selling contract (as set out in the EU Directive and amended from time to time) which is always subject to a 14-day cancellation period. (All Regions). OR An original credit transaction was not accepted because either: the recipient refused the original credit transaction, or original credit transactions are prohibited by applicable laws or regulations. You need to provide either the transaction receipt or other records to prove that the merchant properly disclosed a limited return or cancellation policy at the time of the transaction, or evidence to demonstrate that the cardholder received the merchant's cancellation or return policy and did not cancel according to the disclosed policy. 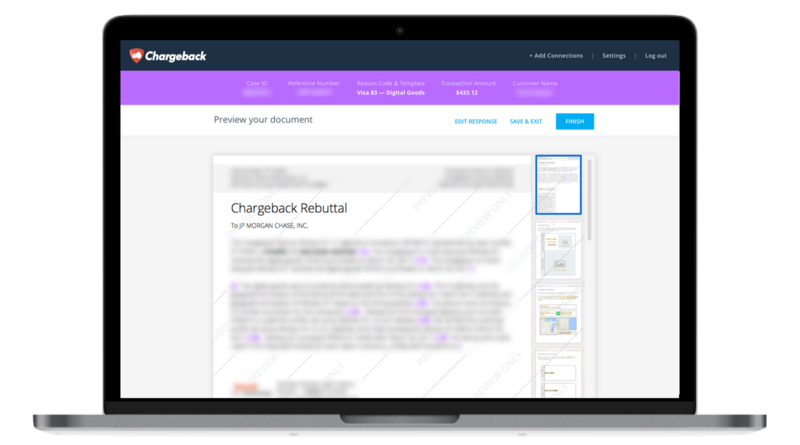 Use the Chargeback App to respond to Visa Chargeback Reason Code 85.